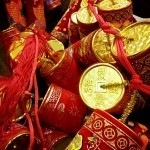 Chinese New Year is one of the biggest events in the Chinese calendar. 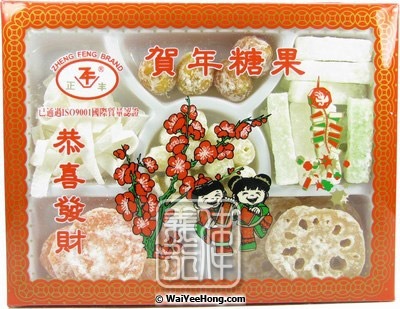 It is a time of year when we come together to celebrate the arrival of the new year, and feast on many dishes and snacks that will bring good fortune for the coming year. Fish is commonly served for Chinese New Year, as a wish for ‘may there be abundance and plenty each year’: 年年有餘 (pinyin: nián nián yǒu yú). 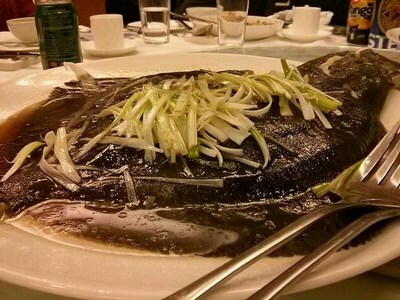 Steamed fish will usually be served whole, with head and tail intact, as a symbol of prosperity. It is believed that eating the fish will mean that you wishes come true in the year to come. Some families may serve the fish as a last course, so that there are left overs for New Year’s day, symbolising having abundance in this year, and the next. Alternatively, raw fish (yusheng) can be eaten, as this sounds like the words meaning ‘increasing abundance’. This usually takes the form of a salad consisting of strips of raw fish (usually salmon) and shredded vegetables, dressed in a sauce that varies according to taste. This delicious mix of vegetables and other vegetarian ingredients is commonly served during the New Year, following on from the Buddhist practice of not eating meat for the first five days of the New Year. Some believe that we should begin as we mean to carry on, by not killing any living creatures during the New Year celebrations, which means no meat! The Chinese for lotus roots is a homophone for ‘having every year’. The wish, in eating lotus roots is that you should never be without. Often served as part of Buddha’s Delight, this black hair-like algae is called ‘Fat Choy’ in Cantonese, which sounds like ‘Propserity’. 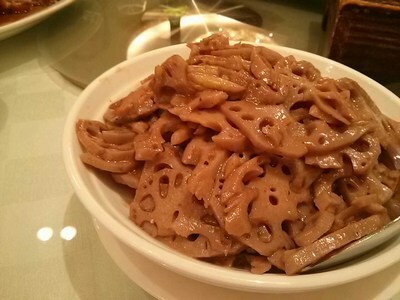 It has a soft texture, and looks similar to black strands of thin vermicelli. 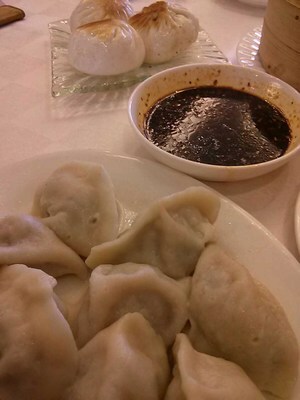 Dumplings are enjoyed during the New Year season. Some look like the old Chinese gold ingots and represent good fortune. Others such as Jiao Zi are eaten in Northern China, because when they are being prepared, luck is packaged inside, which can be consumed later! 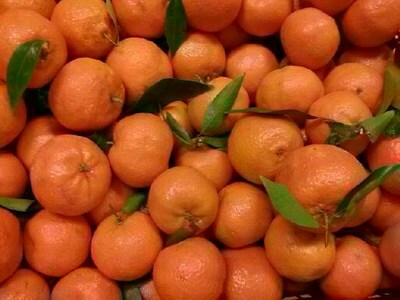 Mandarins are commonly eaten and presented as gifts to friends and family during Chinese New Year, as a symbol of abundance and prosperity. The name for the fruit is a homophone for gold and luck, which is why they are so popular for New Year gifting. Many different seeds are commonly consumed as a snack, including Sunflower Seeds, Pumpkin Seeds and other Melon Seeds. The seeds sometimes come flavoured with spices and other flavours such as green tea. The shells may be cracked off between the teeth, or using purpose-made seed-hullers. This hard, sweet New Year cake is made from sticky rice powder and brown sugar. It is usually sliced and either steamed or pan fried. Some people also like to dip the slices in a whisked egg before pan frying. This sweet treat is sometimes offered to the Kitchen God; it is thought that the Kitchen God would have a mouth too full of sticky cake to be able to be able to relay any unfavourable report about you and your family back to heaven!